Sit back and relax in the U.S.S. 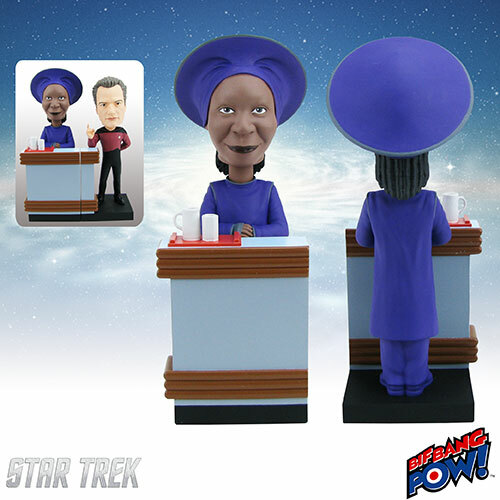 Enterprise NCC-1701-D's lounge with Guinan and Q, the newest bobble heads from Bif Bang Pow!. They are available for pre-order now at Entertainment Earth. Dispensing advice and intergalactic wisdom is just in a day’s work for Guinan, the El-Aurian lounge hostess as portrayed by Whoopi Goldberg. A good bartender knows how to listen and is ready for anything. The Star Trek: TNG Guinan - Build a 10 Forward Bobble Head awaits you in this 7-inch scale resin bobble head that has her dressed in rich purple, standing behind a bar replica from the Enterprise's Ten Forward lounge. She has a feeling you're going to like this bobble head. What does he want? What are his true motives? And how did he cultivate that razor-sharp wit? We may never know. 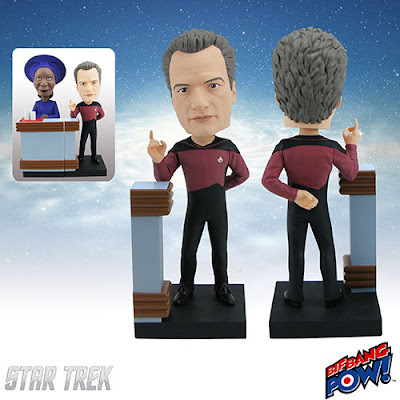 But we do know that the Star Trek: TNG Q - Build a 10 Forward Q Bobble Head as portrayed by John de Lancie looks awesome in this 7-inch scale resin bobble head. He’s wearing his replica of Picard's red uniform and is leaning on a piece of the Ten Forward bar. 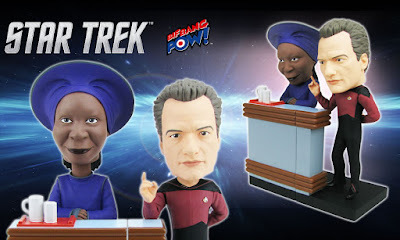 Together the Guinan and Q bobble heads form a mini Ten Forward! Each are sold separately. Order yours today to re-create one of the most famous bars in all of science fiction! 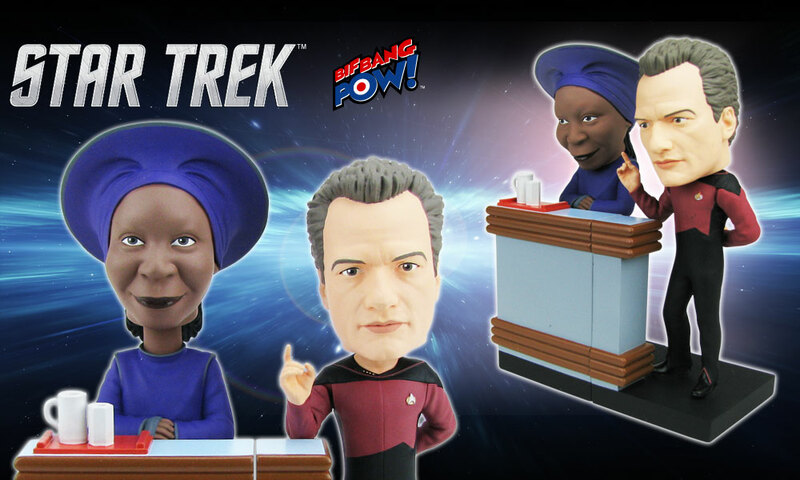 See more Star Trek collectibles from Bif Bang Pow! here!